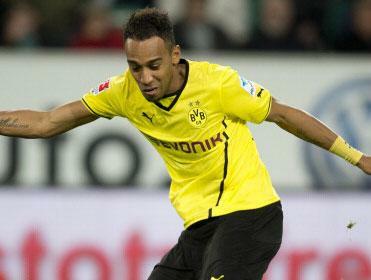 Can Pierre-Emerick Aubameyang heroically lead Gabon to the Africa Cup of Nations title? As Jack Houghton has already pointed out in his excellent statistical preview of the Africa Cup of Nations, this has to be one of the most closely grouped international tournaments in living memory. It would be an exaggeration and generalisation to simply say that 'anyone can win it', but it's mighty hard to have a strong opinion, a logically argued one anyway. As I wrote before the World Cup last summer, I find it helpful to embark on a process of elimination in cases like this. For some reason, the negative part of our brains works more decisively than the positive, and so I've been trying to write teams off in the knowledge that I'll at least be left with a shortlist. The criteria for this will vary and will more than likely frustrate you, as it has to be a mixture of statistics, intuition and subjective opinion. And I only have limited space, so if I sometimes seem to skim the surface, then apologies. Rather like Jack, I'll dismiss Congo and Equatorial Guinea as highly unlikely winners: the hosts were thrown out of qualifying for fielding an ineligible player, but they weren't looking favourites to even make the final qualifying group, while Congo only got that far after Rwanda were disqualified. They did well to make it through the group, but even in the mad world of African football, a poor team is a poor team. At the other end of the market, logic dictates that Algeria and Ivory Coast both have to go. In a group of teams which are this closely matched, both are ridiculously short, seemingly on the basis that they can boast some well known players. That doesn't normally matter much in the Cup of Nations, and prices of [4.9] and [5.6] can't hold any appeal. If you strongly fancy either team, then of course they CAN win, but I'd be a liar if I put them up here with any confidence. One factor that makes me look twice at Ivory Coast is the fact that they reached the final when Equatorial Guinea co-hosted in 2012, but that's not enough to sway me into being interested in them at a short price. There's a lot to like about Cameroon, and they have a squad which is good enough to win. They boast some of my favourite players in the shape of Clinton N'Jie, Eric Maxim Choupo-Moting, Vincent Aboubakar and Nicolas N'Koulou, but they're as short as [10.5], and it's very hard to forget the shambles of Brazil. To back them with confidence, you have to believe that they'll be a united group, and the strange case of Alex Song already indicates that something isn't quite right. They're also in the nightmare that is Group D, so a line goes through them. I'm also intrigued as to why Tunisia are trading at [12.0]. They have a good draw (see my comments on Burkina Faso and Gabon in a moment) but they still have to possess the quality to take advantage of it. And the excellent Aymen Abdennour aside, they look pretty average. There's no Francileudo Dos Santos-style game breaker to give them the edge, and under Georges Leekens I could see them being well organised yet uninspired, and bowing out in the quarter final. They don't look a potential winner. Ghana and Algeria look strong favourites to get out of Group C, which would mean that South Africa and Senegal go out. On that basis (and you may think it a little hasty and spurious, but I have to whittle this list down) I'm getting rid of them, and that leaves us with a group of eight. Burkina Faso and Gabon both look to have a comfortable route to the quarter final, and their journey from there could also be interesting with four beatable teams from Group B set to stand in their way. You can say with some confidence that two of Burkina Faso, Gabon, Tunisia, Zambia, Cape Verde and DR Congo will be semi finalists. It's another reason to oppose the bigger names, to look for a price. And Gabon and Burkina Faso have both qualified strongly, look interesting at [34.0] and [19.5] respectively. I prefer the chances of Cape Verde to those of an erratic DR Congo (not without a chance, but hard to trust) and recent champions Zambia. That was Zambia's moment, and this current squad play at too low a level to believe that they could go all the way again. We're getting there. It now comes down to Ghana, Cape Verde, Gabon, Burkina Faso, Mali and Guinea. I really like the latter two teams, but it's their draw alongside Ivory Coast and Cameroon that puts me off. It's not just getting out of Group D, but what may then await them. Any team from Group C and D will have to perform exceptionally to even reach the semi final, and there's really own one side from that half of the draw that I want in my portfolio. Ghana have reached the last four in each of the last four editions of the Cup of Nations, and I was more impressed by them than by any of the other four African teams at the World Cup. They play with energy, with serious power, and the benefit of several squad members who have performed admirably at World Youth tournaments. They know how to go long into these events. They should win Group C, and then we have to trust them to dispose of a quality quarter-final opponent. If they get through that, then I feel that Avram Grant could be on the brink of something really special. If you're worried about Ghana scoring goals, then remember that Asamoah Gyan is still only 29 and won't be worn out by a gruelling season. UAE football doesn't do gruelling. I wouldn't be at all surprised to see him emerge as one of the stars of the tournament yet again. So Ghana are in. Regretfully, I feel that Cape Verde will be fun, but not good enough, and so we're left with Gabon and Burkina Faso, who qualified from the same group and now find themselves drawn together once again. This choice is all about whether you prefer the idea of Pierre-Emerick Aubameyang heroically leading Gabon to the title, or the brilliantly-coached Burkina Faso emphasising the power of the collective. I like both ideas, and I think that both sides could well make the semi finals. So while I won't put you off Gabon at [34.0] I'm going for the finalists from last time to go one better, and give this crazy tournament another crazy denouement. It'll be Ghana to meet Burkina Faso in the final, and the journey will be quite a ride. I suggest that you give it a look.